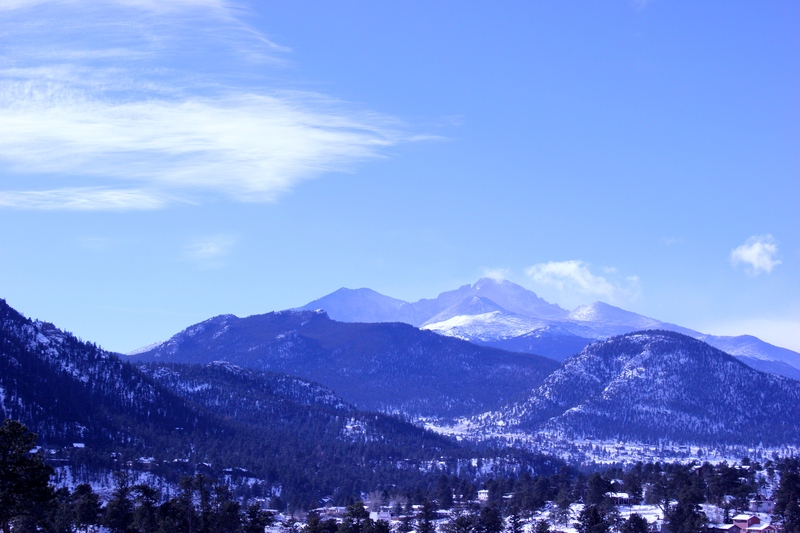 This entry was posted in Photography and tagged Colorado, Estes Park, mountains, photography, Rocky Mts., winter. Bookmark the permalink. I have been there twice. It is a wonderful area–so scenic! Bummer, neither one are my mountains. The Coastal Range is mine, and it is wimpy compared to these. Very pretty! We’ve got the snow, but no mountains here. These flat states drive Papa crazy. He grew up around mountains. I got a kick out of Christine’s comment. Funny. If we had a mountain in our front yard, we may chop it down. 🙂 We did have a tree there that was starting to obscure our view of the sunrise, so did cut it down. That was before we were into birding, otherwise, we may have left it. Where we lived in GA, it was illegal to cut down trees without county approval–even on your own property. I do love the mountains and all those trees! The desert here is flat, but the good thing is we are 30 minutes from the mountains and 1 1/2 hours from the beach, so that makes the desert tolerable. That is interesting. Maybe a law like that would hinder the senseless slaughter of trees out here. All for a couple acres of corn… But thinking about it, I don’t think there were many trees out in the prairie before man came along. There were some, but it obviously wasn’t like Oregon. Interesting that The British Isles used to have a lot of trees, too, but people migrating in pretty much stripped the place of its forests.